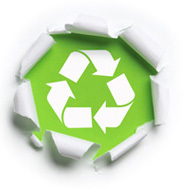 ShredPro recycles 100% of the paper that it shreds, we comply with the environmental management system ISO 14001. This ensures that our own environmental impact and therefore those of our customer is controlled. All our paper is recycled at local UK mills, again reducing the impact on the environment and investing in the local economy. 12.5 million tonnes of paper and cardboard is used in the UK per year, and it takes 24 trees to make a ton of paper. By recycling paper we not only prevent further trees being cut down but the production of recycled paper produces 73% less air pollution than making paper from the raw materials.